As an alternative to our heavy-duty 1068 Rotators we offer our compact, lighter duty, and lower cost 1202 rotary table. It is ideal for lighter load applications that still require high accuracy and high repeatability with zero backlash. 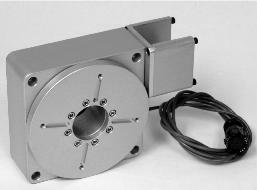 The worm gear drive is available in 3 different ratios offering maximum flexibility. 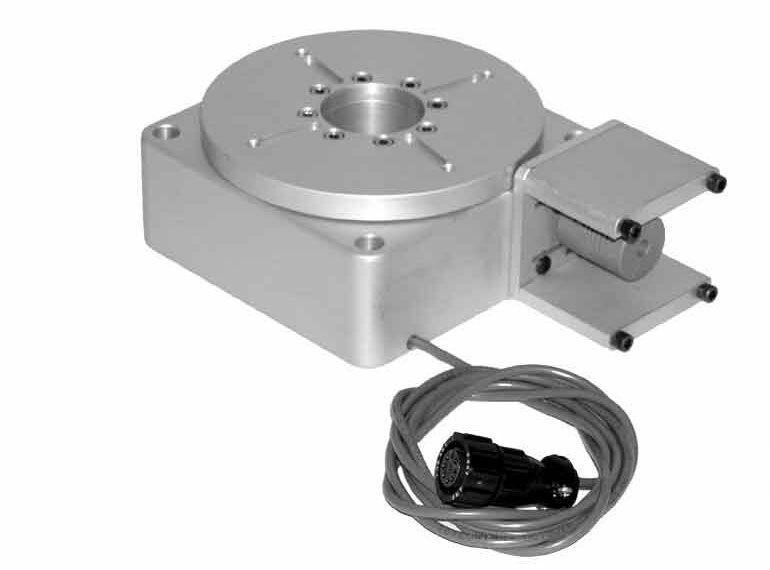 These easy to mount tables have found wide acceptance in applications like part positioning for industrial laser applications and camera positioners. Like all of our products, if necessary, we will be happy to modify these tables to fit your specific application. • Provisions for mounting up to 2 additional switches are provided.